This is the shortest of the two Beginners' Courses we offer. Like all of our courses it is an Action-Learning program which means you can start designing from day 1, if you wish. Note that you can also use the Free Self-Study Courses as a mini-introduction course. You can do it on your own, and then if you want to go deeper in the content while you try the resources we make available for our students, enroll in the Introduction Course. or find out what permaculture is about generally, in an easy & direct way, whilst getting to know other permaculture students from all over the world. It is also ideal for people who are thinking of studying with us, but first want to try & see if this type of action-learning works for them. With 10 especially selected classes you will get a useful general vision of what this sustainability science covers. 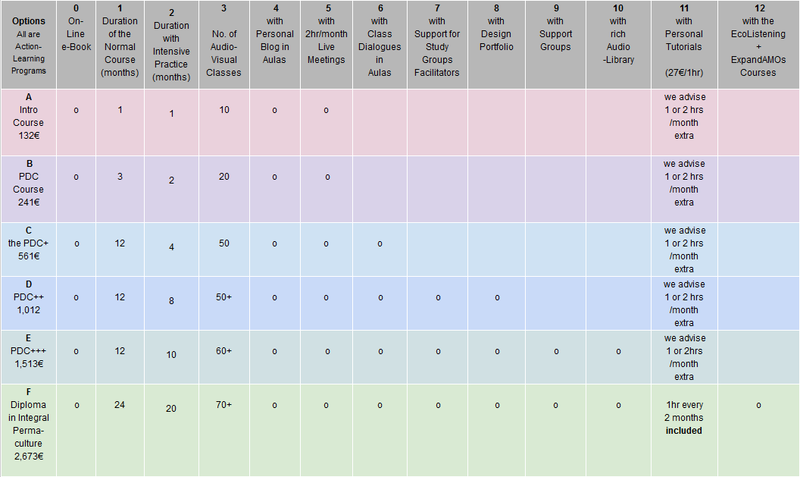 Our content-rich multimedia classes are between 1:30 to 2 hours long on average. You have the use of a personal Blog from which you will be able to show your learning process & get to know & interact with the other students, even starting your design portfolio here if you wish. During the weekly live group meetings you will be able to clarify doubts, present your designs ... as well as get to know and see presentations of your colleagues' designs. You can also take this option in the practical intensive format, in one month > see the GaiaSis Intensives page. 1.1 Why are we (as humans) so slow in learning about Sustainability? 1.2 What are the Basis of Permaculture Design? 1.6 What are 'Models' & why are they so important for Permaculture Designers? 2.1 What is Design? & Can we Re-Design a whole Society? 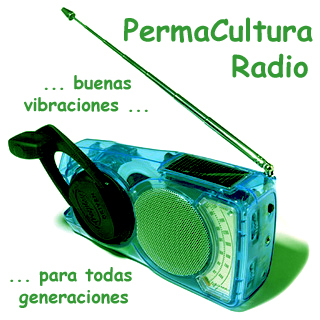 2.7 What are the Fundamental Principles of Permaculture design? How do we apply the fundamental principles to Permaculture Design? It is easy to design if we are clear about the design principles, but much more difficult to really understand & integrate these principles in our practice. In this class we go into more depth about the design principles, with lots of examples of each in order to understand them better. 3.2 How can we Regenerate Soils? 3.3 What are the Vital Cycles? It is our great ignorance of these & other cycles, & of their vital importance for the equilibrium of the whole system, that has brought us to making great design errors, as humanity & as individuals. 4.1 Is our Civilization Collapsing? 4.2 How can we make optimum use of resources? 0) Online e-Book - NodoEspiral of the Permaculture Academy is co-creating a great online e-book of resources & materials which follows the structure of the classes of the Integral Permaculture courses that we offer, expanding the information. You can do a more intensive version of this course also in one month but with a rhythm of 4hrs of practical work + 2 hours of study, 5 days per week. It is recommended to do this version in a place where you don't have other distractions, & you can focus mainly on the course. If you don't have a place we can help you find it. are included in this option. The classes have a duration of 1:30h to 2:30h which you can see at your own pace (you can stop and resume the recording at any point). Each student can reflect on their path & designs, sharing their learning process & interacting with the other students. It is a great start for a future design portfolio if you wish to go on with the diploma, & an essential discipline in order to integrate what is taught in class with your practice. We emphasize that dialogue & exchange of experiences is one of the most powerful tools of action learning. 5) A 2hr Monthly Meeting with the tutors, where you can put questions, present your designs & share live with the other course members.